Discussion in 'Muppet Headlines' started by Oscarfan, Apr 1, 2010. Can't decide if that's supposed to be an April Fools video or an Easter video. Great seeing someone besides the same characters... even better seeing a newer rare fan favorite in the spot light. It starts off somewhat dark but the whole atmosphere is kind of relieved the way the characters Carl eats are depicted as unharmed inside him. I don't want to give away too much spoiler for those who perchance read the thread before watching the link. This was really funny. And it doesn't even have anybody that the average fan would know. I hope we get some more videos with monster characters... It'd be great to see something with Carl, Luncheon Counter Monster, Uncle Deadley, Gorgon Heap, and some of the frackles. This is superb! My gosh I love these Muppet people. It seems like every video is excellent in its own amazing way. Who would have ever thought at this time last year that we would see Big Mean Carl starring in his own YouTube video? Not me! Another home run for The Muppets Studio! Can't see what they have in store for us next! Well Animal is sure going to have to talk with Carl about eating all the Bunnies! This to me was a classic case of something that would be on a newer Muppet Show! very funny! Loved it! Ate it! That was great! I loves me some Big Mean Carl! I loved when the bunnies in his stomach started singing. It was just too classic of a Muppet moment. 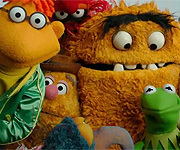 It felt like a classic Muppet Show thing; monsters eating other characters. I liked it too, especially Statler and Waldorf's comment. Big Mean Carl was awesome too. Hey, if Disney keeps this up we could get a new Muppet show. Well, that's just my opinion. Could someone send it to me as a MUP3 please? Thanks. I recall reading a desire from somebody somewhere (either a tough pigs thread/article or a muppet mindset article) who wanted the Muppets to make appearances like in the 1960s, where people didn't know what to expect from the Muppets... I guess this succeeded a bit. I noticed a small goof! At the point that you see the bunnies in Carl's stomach, there are five there. But at that time he had only eaten four. Cool fact. Also the carrot bat was a nice touch especially when hit the bunnies with it. Seriously it was a good video, well, right next to "Bohemian Rhapsody". One was an early snack. I found a comment on the youtube page where someone claimed that this video was too grotesque and that the Muppets are not the same nowadays. Obviously, this individual fails to realize that this video just screams classic Muppets. As I said before, this is just like on The Muppet Show where there would be acts that had monsters eating other characters all the time. Has she even seen the Muppets! Muppets eating other muppets is what they do! Reminds me of the old "I've Got You Under My Skin" number from The Muppet Show, especially because of the still-alive eaten muppets singing from within. Hilarious, classic stuff! I'm tired of both fans and non-fans claiming this. I'd hate for the Muppets to get pasteurized as in some projects before they refocused their talents back to these sorts of YouTube and Muppets.com items. 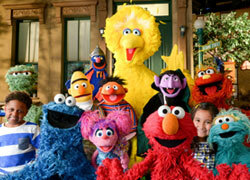 Yes, the Muppets have evolved some, but they are also true to their roots. I have a feeling that even if Frank Oz came back to direct things that some people would still make the same claims. They are the same folk that write letters to Andy Rooney so he can complain about the 0.000001% of an ounce missing in todays tube of toothpaste. There's no pleasing some people. One thing's for certain - I'm having a great time!